Are you desperately searching for Folsom Toyota services that can give you exactly what you are looking for? If you are planning on keeping your Toyota for a long time but want it to run smoothly for years to come, our Toyota repair shop in Folsom is for you. Not only can you count on us to give you the professional auto repair you need but you can depend on our strong relationship and personally tailor services to give you exactly what you need. Auto repair Folsom, CA has to offer is easy to find but hard to trust. Shannon Family Automotive is one of the most trusted Toyota and Lexus repair shops that in located with convenience for you. 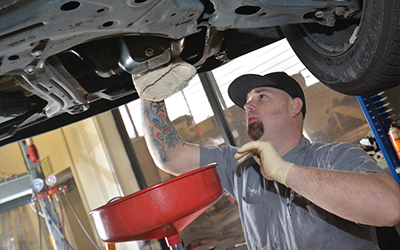 We have experienced technicians and mechanics that you can trust to give you the auto repair you need to keep your car running smoothly for years to come. Because we focus on our customer service and how we can get you moving again we know that our old-fashion values are the best in town. We have a great reputation and will give you the quality you need at a great cost so you don’t break the bank while you get your Toyota or Lexus repaired. Do you think you are ready to come by our shop for the repair you need in town? With the endless amount of services we have available we know you will leave satisfied. The integrity and honesty we give you with each service will have you coming back to get your auto repair taken care of by us every time. To request an appointment, click here.